Why is Blood Pressure the Biggest Problem? High blood pressure is one of the major causes of heart stroke and attack, but most of us do not even know the facts about it. Almost every second person with age experiences this blood pressure problem, but here the key thing is to be aware of how this blood pressure can be a severe issue. So, this article is all about throwing light on why is it one of the biggest health issues ever. Our heart may seem very small but it is a very powerful pump that beats gradually and pumps about five liters of blood around the body at every single minute of the day and night. In order to maintain this, there is a need to have a specific degree of pressure in the circulation that keeps the blood flowing and this is what blood pressure means. Blood pressure is basically divided into the pressure that happens when our heart squeezes or contracts which is also known as systolic pressure. And then there is the pressure which is present when the heart is in the relax mode which is called the diastolic pressure. These are actually the pressure that a physician measures when they check the blood pressure and Figures that are used are in the millimeters of mercury, so there are the particular readings described in a distinctive way. 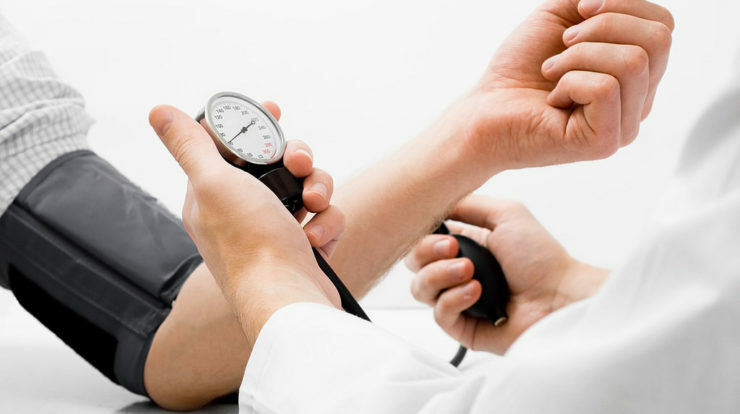 High blood pressure affects many people and an increase in it is common as you age. This occurs usually and the arteries carrying blood around the entire body become a bit less elastic and stiffer as you get older, but for the majority of people, there is no particular cause. It simply happens and this is called hypertension. Some typical reasons in these cases involve chronic kidney diseases, chronic alcohol abuse, hormonal disturbances and the blood supply to the kidneys. And one of the biggest problems with the hypertension is this that it literally causes very least symptoms in most of the people. Even clearly there are very fit people who may have high blood pressure without realizing it, but if it is a severe case there are chances of headaches, nosebleeds, confusions, sleeping difficulties and many other breathing problems. In case hypertension is left untreated, or you remain unaware of it, there are chances of having a heart stroke or an attack. And when this is treated, the complications can be ignored and a person can expect a normal lifespan. Some specific complications except strokes and heart attacks involve the heart failure where the heart slowly loses its strength to pump blood around the body efficiently. This may lead to the eye damage, expansion or weakening of the main artery of the body, kidney failure and more to the body when it passes through the chest or the abdomen of a being. This can literally cause it to rupture with some possible fatal results. There are a lot of medicines to treat hypertension. These are the highly effective drugs for hypertension that can be actually used in the low doses with a few if many side effects. The treatment is actually tailored to each person with some common types. However, if you are pregnant or planning to have a baby, make sure that you aware your doctor about it as there are some drugs that are undoubtedly more suitable then others in such type of circumstances and your doctor actually need to keep a closer eye on you regarding that. Then you have got one of the biggest advantages of the modern times. There is no need to have a home monitor. The modern home blood pressure monitors are actually very cheap and these are reliable but these obviously do not rush out and buy one if you know that your blood pressure is normal. You can get it checked from your nearby doctors or even the chemists as almost everyone has got the blood pressure machines. And beyond everything if you experience an occasional rise in the blood pressure readings these can assist in confirming the treatment is required or not. You can go ahead with the timely blood pressure check up but make it a point that you do not get habitual to it as checking it like that may put your blood pressure up!